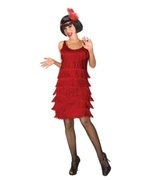 The 1920s Womens Fashion Costume includes a black dress with silver trim, and is fully beaded on the front and back, with the hemline featuring a black fringe trim. Available in sizes small (4 to 6), medium (8 to 10), large (12to 14), and X-large (16 to 18). The 1920s had a fashion sense that was so inimitably unique, it is yet to be surpassed, or even matched! The designs remain popular in this day and age thanks to the copious presence of the era in mediums such as film and television, and parties looking to recreate that aesthetic by themselves have the requisite support from costumes like the 1920s Womens Fashion Costume! 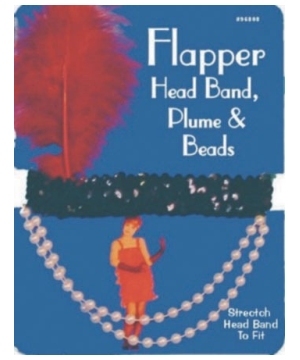 Review(s) for " 1920s Womens Fashion Costume"